UU A Way Of Life: Why is the "Living Tradition" of UU dying? Why is the "Living Tradition" of UU dying? 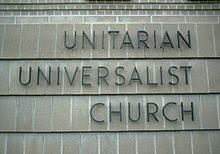 Unitarian Universalism has it backwards, the "it" being its relationship with the world. Does UU attempt to sanctify the world or allow the world to contaminate the "Living Tradition?" The obvious answer to the question is the later, Unitarian Universalism allows the world to contaminate its "Living Tradition." Unitarian Universalism is passive when its faith is attacked. The old saying is that if you don't stand for something, you will fall for anything. UUs covenant together to affirm and promote seven principles and most UUs don't even know what the seven principles are that they covenant together to affirm and promote, and even if they did, they have no guidance from the church on how to stand up to the assault on them from the world. In the era of Trumpism, the principles of the UU Living Tradition are trashed on a daily basis with 80% of Republicans supporting this trashing. Does UU accommodate this assault on its principles or does it cry foul and impose penalties? Unfortunately, it does the former rather than the later because of its poor organizational cohesiveness. The "Living Tradition" is left for the individual congregations to promote and affirm even though there is an attempt at coherence at the periodic general assemblies. The failure of Unitarian Universalism to achieve more cohesiveness contributes to its failure to thrive as a "Living Tradition" as a church. Its stagnant and somewhat dwindling membership demonstrates not only its inability to survive as a voice to sanctify the world, but also demonstrates that it has sold its soul to a secular philosophy of relativism and accomodation. The ineffectiveness of Unitarian Univeralism to sanctify the world is a shame because it has much to offer but it doesn't know what it is and how to share its faith with the world in a coherent way.